I had some leftover ground beef and was originally planning to make a beef version of the Meatball Shop’s Spicy Pork Meatballs; however, I realized I was out of tomatoes to make any kind of accompanying sauce. I was way too lazy to run out and buy any missing ingredients so I rummaged through all my kitchen pantry to see what I had on hand. The results were very lacking. So I went to my handy dandy “search recipes by ingredients” tool on AllRecipes.com and tried to figure out what I could concoct with my ground beef, eggs, onion, and bread crumbs other than sauce-less meatballs. I discovered that many meatball recipes are interchangeable with meatloaf recipes, with the difference just stemming from the shape of meat and choice of sauce. My experience with meatloaf is pretty nonexistent; I knew of the singer before of the dish. However, I was intrigued about this classic comfort food that apparently is a top ten favorite dish in the USA. This dish traces its origins back to Roman Empire days in the 5th century when a meatloaf of minced meat was first mentioned. It is a traditional German and Belgian dish and it was exported to America by German immigrants back in colonial days. The American meatloaf was very popular during the Great Depression as a way to stretch the food budget for families as it used inexpensive meats, cereal grains and leftover ingredients. As I was perusing meatloaf recipes, I realized I had all the ingredients required except for the sauce (again). 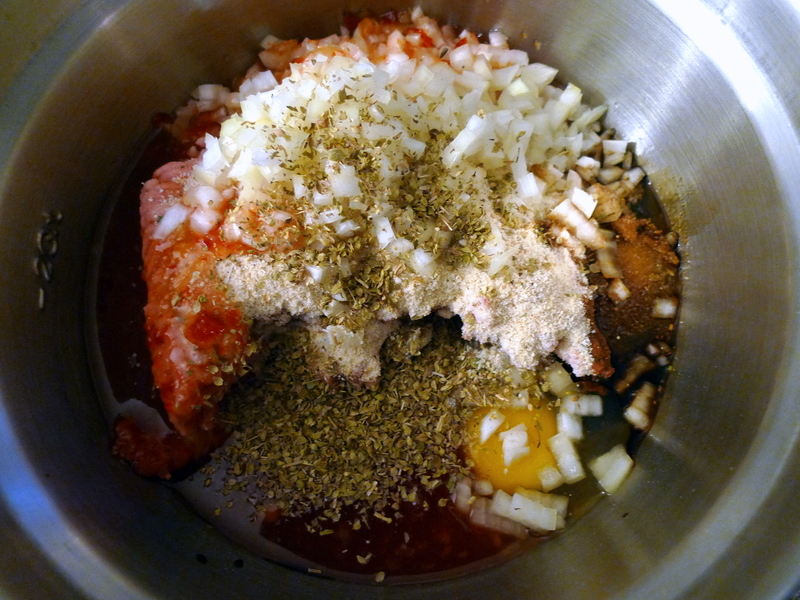 Most recipes calls for some kind of tomato-based sauce or brown gravy to be poured over the loaf to form a crust during baking. Ketchup or barbeque sauce are often used, and yet, I had neither. 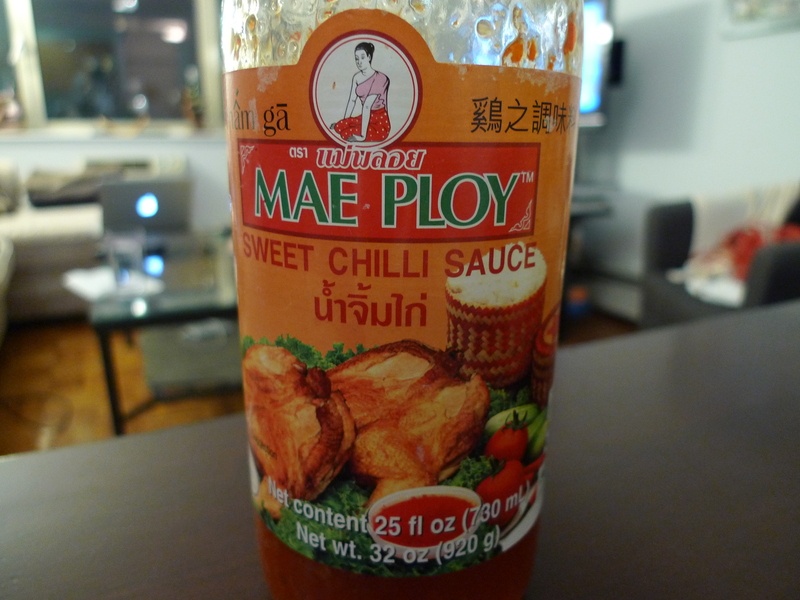 But then, I stumbled upon a recipe that called for Thai Sweet Chili Sauce to be substituted for ketchup and this was the game changer. I made a few changes to the recipe by only using beef instead of pork and I substituted soy sauce for the Worcestershire sauce and eliminated the salt. I also don’t have a loaf pan but just used a glass rectangular casserole dish; and then cut up the serving portions like brownies! This was so easy to throw together and tasted delicious! 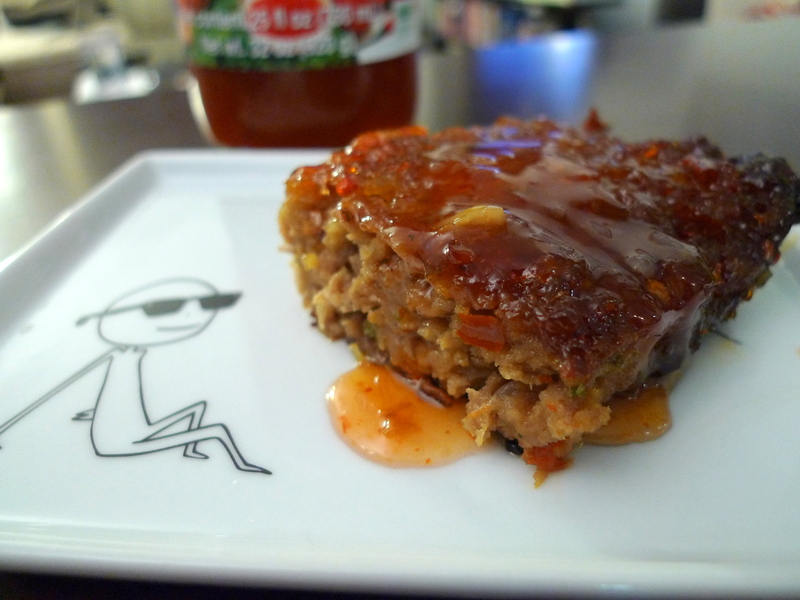 Granted, I don’t have much to compare it to, but I loved the sweet and savory flavors of this Asian fusion meatloaf. American meatloaf is often served with potatoes, but in keeping with the Asian theme, I served this with the quintessential Asian starch: rice. For a complete meal, also try serving this with a Thai Green Papaya Salad! Preheat the oven to 350°F. Mix all the ingredients together with just 1/2 C of the sweet chili sauce, reserving the other half for the glaze. Place loaf pan on a baking sheet, and pack mixture into loaf pan. Spread remaining chili sauce over the meatloaf. Bake for 1 1/2 hours or until the meat thermometer reads 160°F. Enjoy this meatloaf freshly baked! If you want to stick with the Thai theme, try serving this with a refreshing Green Papaya Salad. 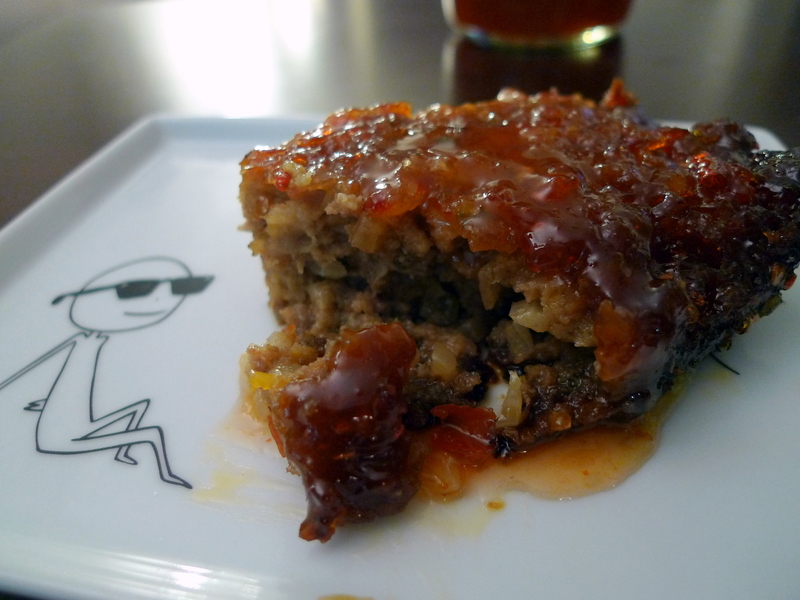 My family loves this meatloaf…..
Oh wow! The meat looks so delicious! Yummy!